Red ted levels are at new lows off of Anna Maria Island and around Florida since a bloom began in October 2017. The Karenia Brevis algae that causes red tide was only observed in four Southwest Florida water samples over the past week. The samples contained extremely low numbers of algae cells per liter, far below concentrations that would cause a harmful bloom. Officials in Florida say dolphins seem to be red tide's latest victims as more than 20 have washed up dead since last week along the state's southwest coast. 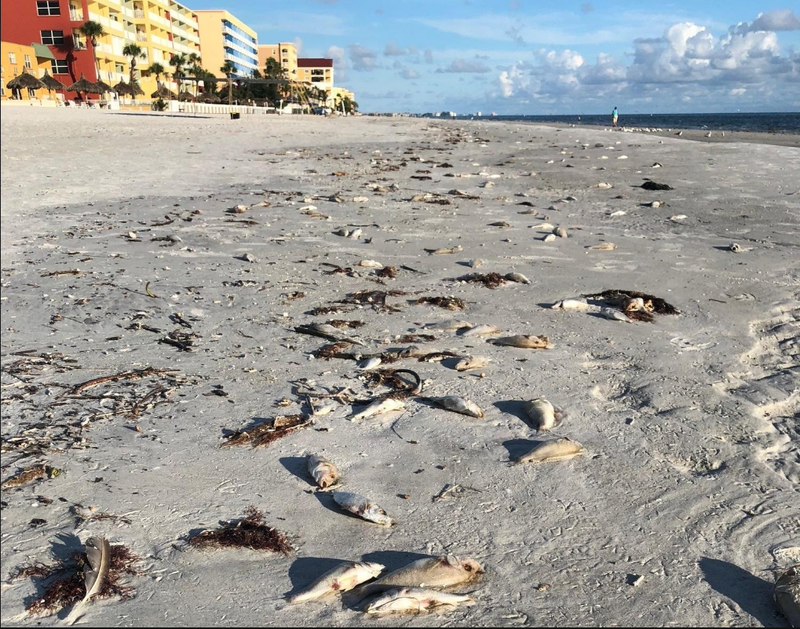 Just before Hurricane Michael made landfall last month, a ferocious red tide that had scoured Florida’s Gulf Coast for a year, depositing countless dead sea turtles, dolphin and other marine life on beaches before spreading to the Atlantic coast, had finally started to wane.